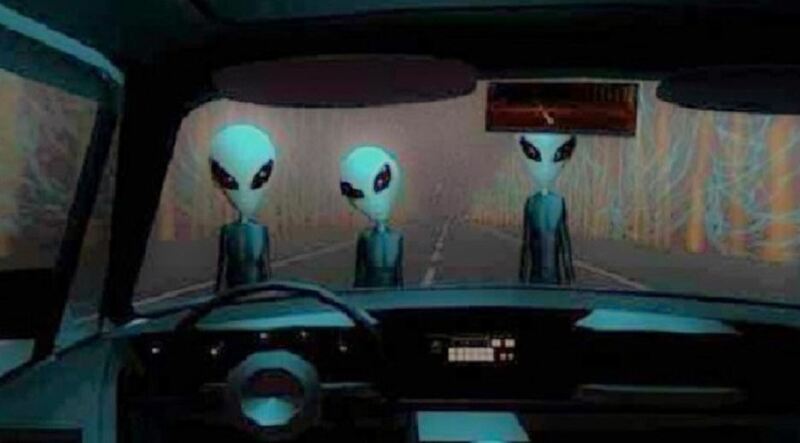 I live in a rural area, it is very dark at night, my daughter and I were driving down the highway at around 8:45pm, it was clear but higher up the sky was cloudy. My daughter noticed 3 beams of blue light coming out of a huge cloud shaped like oval and going into another cloud below. I was looking for a source for these beams. I could not find any, it was as if they were suspended beams of light, but with absolutely no light on the ground. My daughter said mom, I bet you it is a UFO and it is hiding in that cloud! Quick take a picture! so I did. The first one my flash was on so it flashed back at me, I turned off my flash and took the 2nd and 3rd pictures with no flash. We then continued on our way saying to each other “well that was odd”. After getting home I forgot about the pictures until the next day, when I looked at them I was dumbfounded! 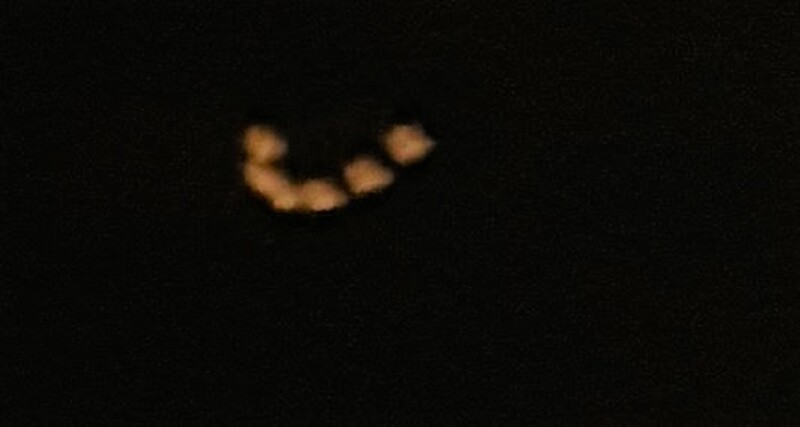 I must say that when I was taking the pictures, I was in the passenger seat of my car pointing my camera on my phone out and angled up to the sky through my windshield, (there were no lights on inside my car) the first picture has a small illuminated area, but if you zoom in on the 2nd picture you can see the craft with 6 orange lights, then look below it and a little to the right and you will see 2 areas of illumination. If you zoom in there you can see an outline of a form… my daughter says it looks like a stick man and a cow. 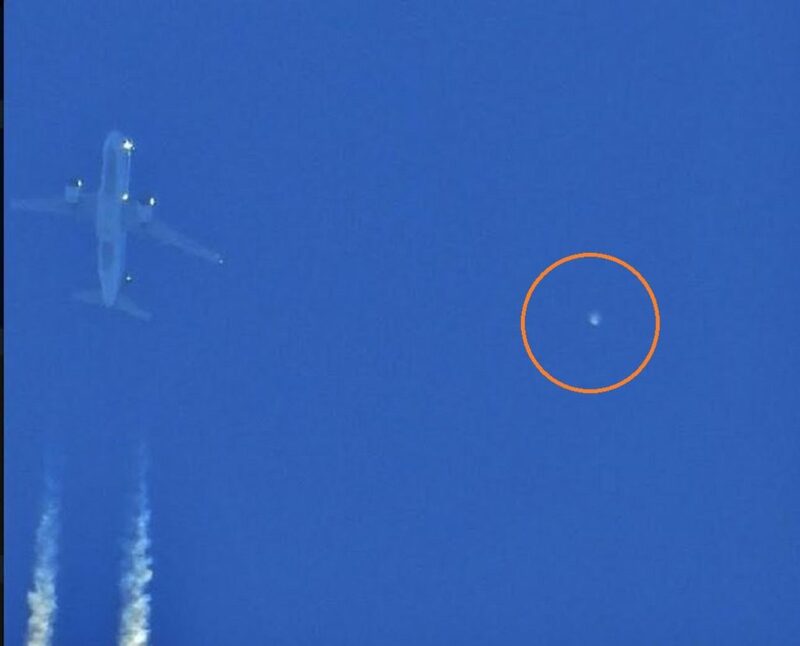 I should also say that this “craft” was stationary over a beef processing plant. When I was taking the picture I did not see the orange lights only the blue beams. I am left feeling like “what in the world did I just see”? China Grove, NC – 2007-03-30: Hello my name is Ryan. 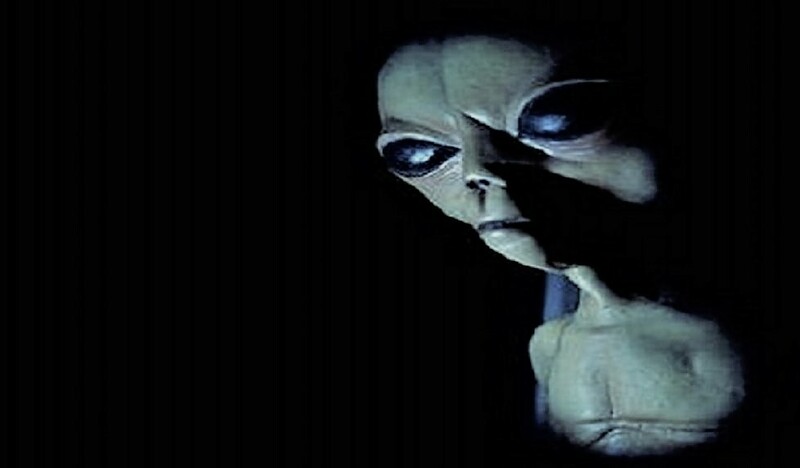 First off just want to say I never looked into aliens, or researched them or anything like that until these events happened to me. Like I said it has happened a couple more times (that I recall). Like once every couple years. Most were similar to the above but did have one that was really different. If you’d like I can tell that one, and if you need me to get in front of a laptop and take more time to write out better I can. I would really like to speak on the phone or personally with someone. This has changed my life forever. Just want to be heard and get more answers. 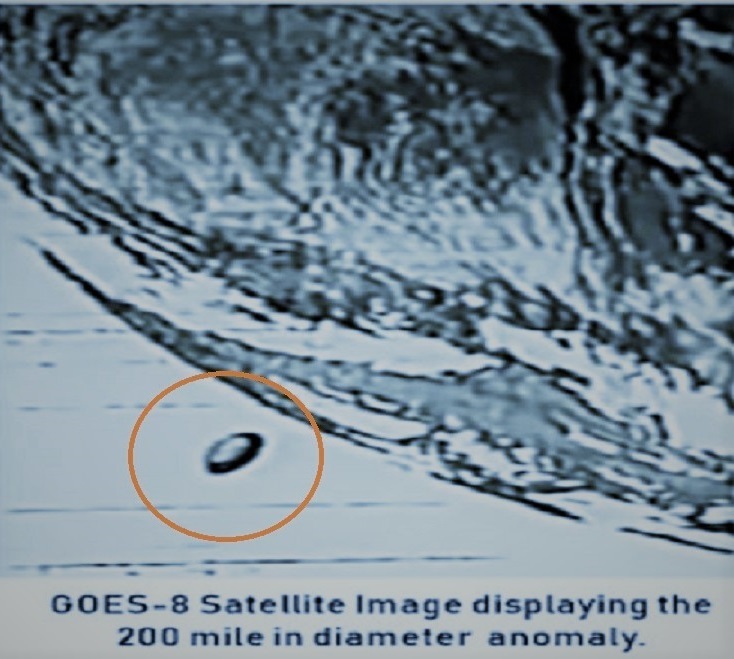 – MUFON NOTE: The above image is CGI. 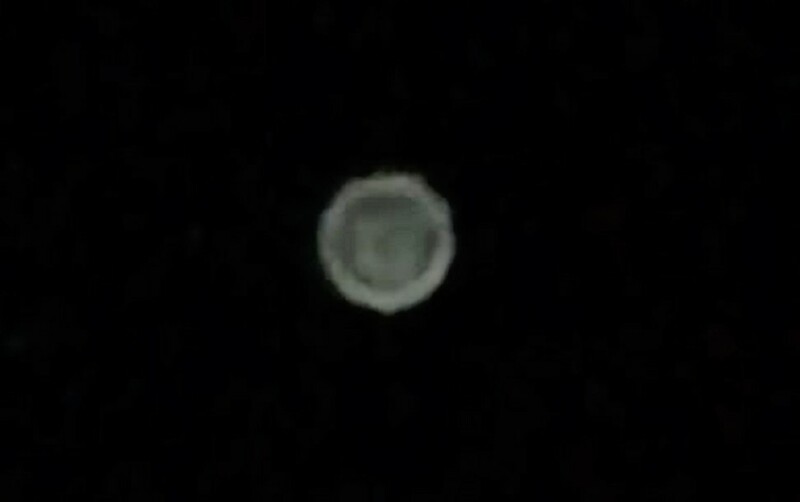 Saw this object on the evening of December 24th, Universal City, Texas. At around 8:30 pm, I took my dogs outside and continued to watch over them. Then, in the west corner of my yard, I spotted an eerily bright light, peeking through the trees. I walked towards it in order to take a closer look, and it seemed to me an obviously bizarre, horizontal crescent shape. 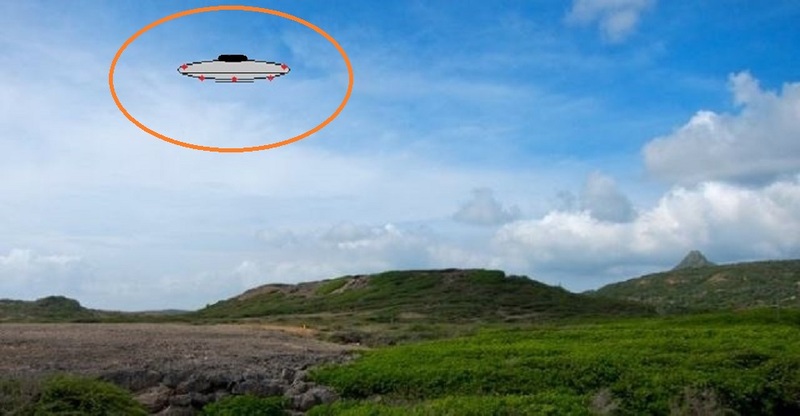 On closer inspection it looked to be a solid oval shaped object, with its bottom half glowing. Even though by instinct I knew it was not a normal light, I began to reason that it was probably a street light in the distance. The object at this point (to my view), was below the tree line. I then proceeded to disregard it for a whole 10 minutes while I was in the yard. Lol, probably not the best idea. I did keep partial watch over it, though. I observed that it was completely still and silent. Didn’t move a centimeter from my view, and made absolutely no noise. Even though it gave off a very bright light, the brightness seemed contained, so it didn’t light up anything around it. After about ten minutes of walking and dancing (hey, I was bored) around the yard, I let my dogs back inside the house. I took my eyes off of the object for about 30 seconds while in my house. I was still very curious about this bright object so, I walked back outside and made a beeline to the area I saw it before. Right then, I saw something above me, from the corner of my eye. I looked up, and while I wasn’t looking the object had moved across half my yard and was now in the sky high up above the tree line. It was also much closer to me now. Scared the hell out of me. It was even then very still, and emitted no noise. I pulled out my phone and took two pictures of it. The first turned out clear, but there seems to be another light in the picture, no idea what that is. Also, even though to my eye the illuminated part of the object appeared to be crescent shaped, my phone picked it up to be a different shape. When I tried to take a second photo, the object on my screen turned to a full glowing circle, and then my whole phone screen lit up white. That photo came out black. I assumed it didn’t want me to take pictures, and since I was also thoroughly freaked out(and alone), I rushed back inside. I checked after two minutes to see if it was gone. It was. I had no idea how large the object was, and had no reference points to gauge its distance from me. I think that it was possibly watching me, since it only moved when I briefly went inside. On November 20th. 2017, at approx. 2200 hours, myself and my wife were traveling south bound on Akron Peninsula Road just south of Peninsula Village in the Cuyahoga Valley Park region. 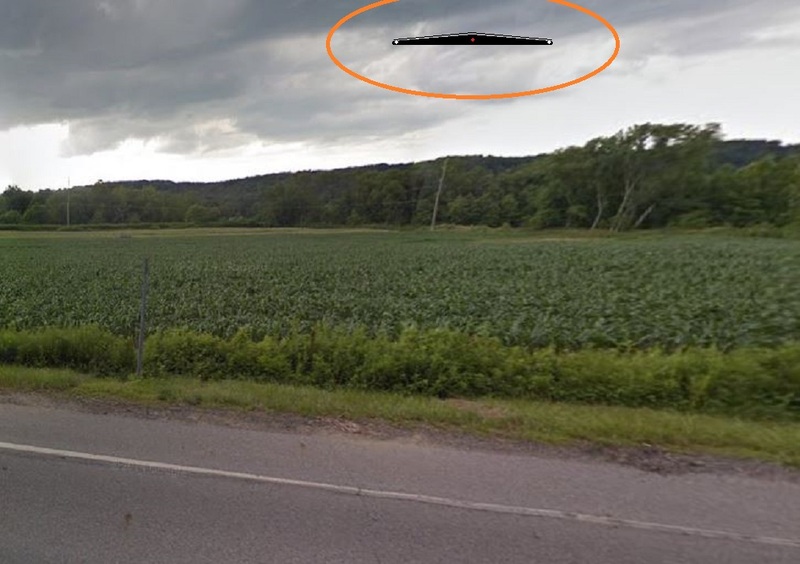 As we my wife was driving I observed a large craft traveling north west just over top of the tree line on the left hand side of the highway. 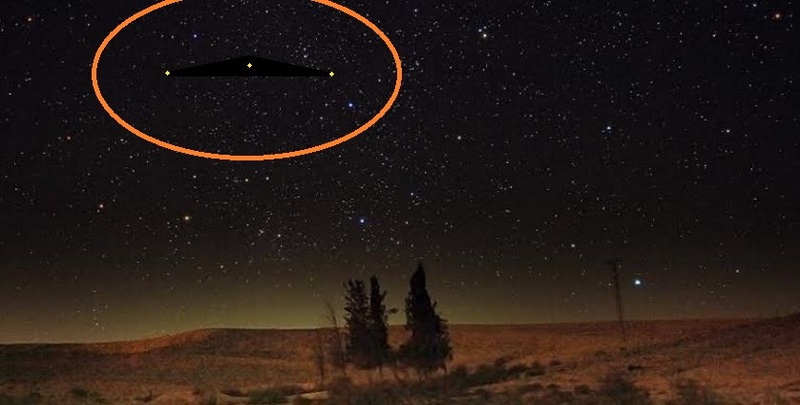 I did notice several white lights on it, no other lights were observed at that time. As the crafted passed over head just in front of the vehicle I leaned forward in order to observe the whole craft and it was at least 40 to 60 foot across as it passed overhead. 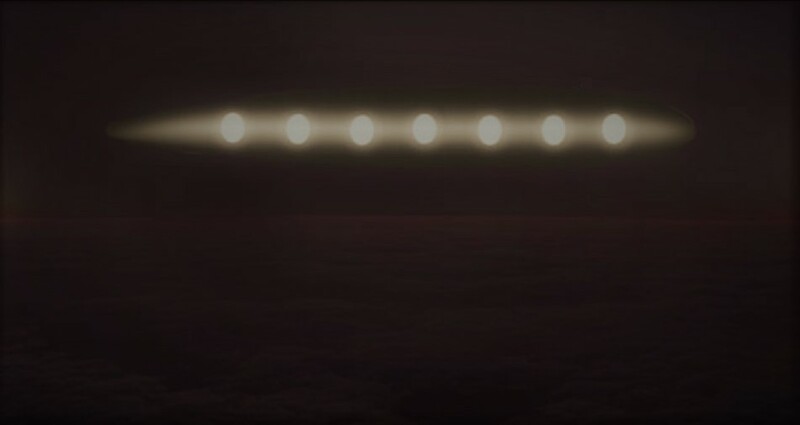 Things that were noticed was no other lights except the perimeter lights which were large, about 6″ in diameter going around the perimeter of the craft spaced evenly. 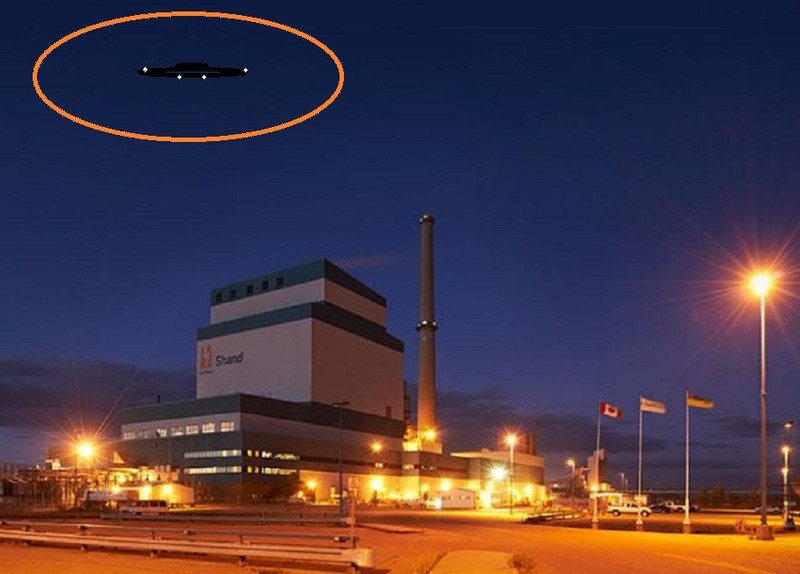 Another thing that was noticed was that the craft was wide on the outside perimeter, probably 4 to 6 feet thick. 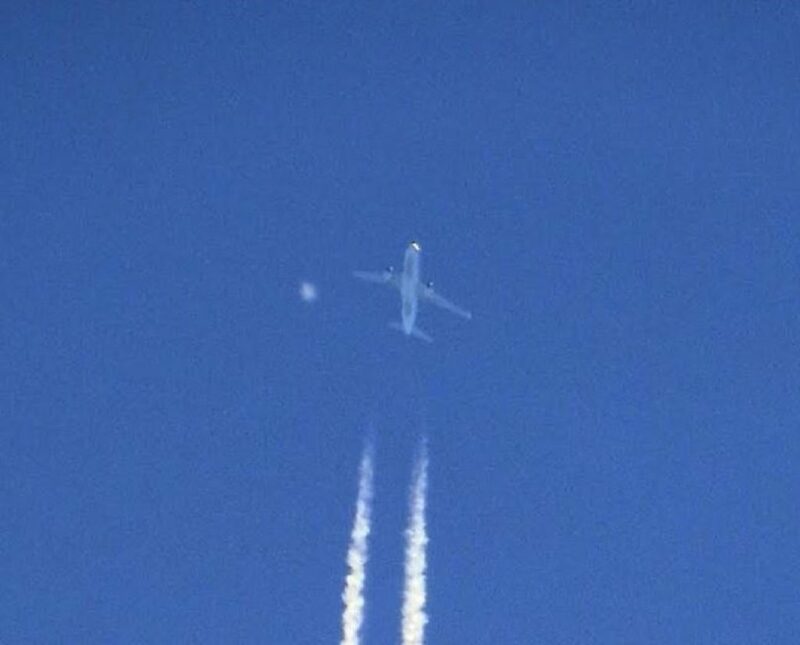 I did have my window down at this time and noticed the craft made no noise as it passed overhead. My wife had made mention of… OH Wow… look at that helicopter. I told her that, that is not a helicopter, this craft is to big and made no noise. 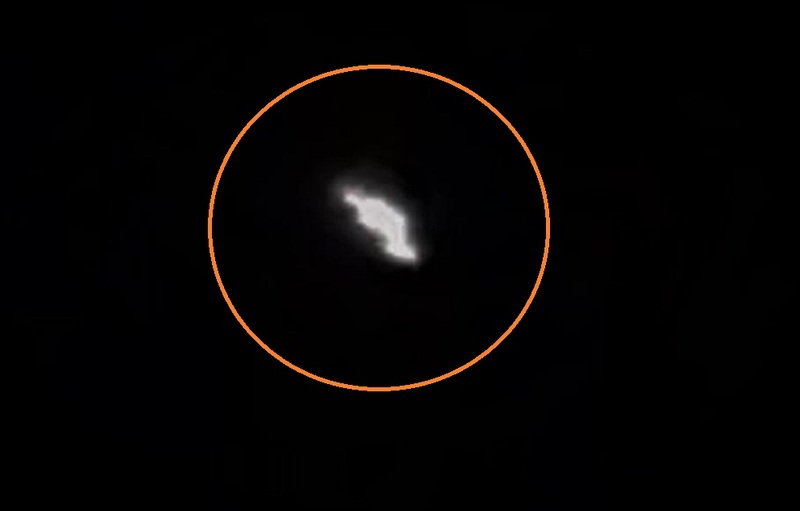 It also appeared to have a slight rotation as it passed overhead. 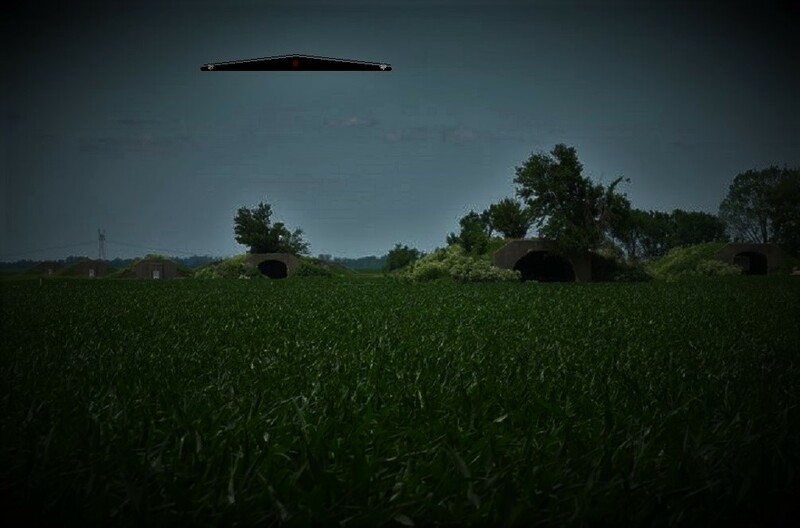 The craft traveled north west across the roadway then stopped over a field at corner of Akron Peninsula Rd. and Bolanz Rd. North West corner of the intersection. I also noticed high tension lines in the area of the craft. 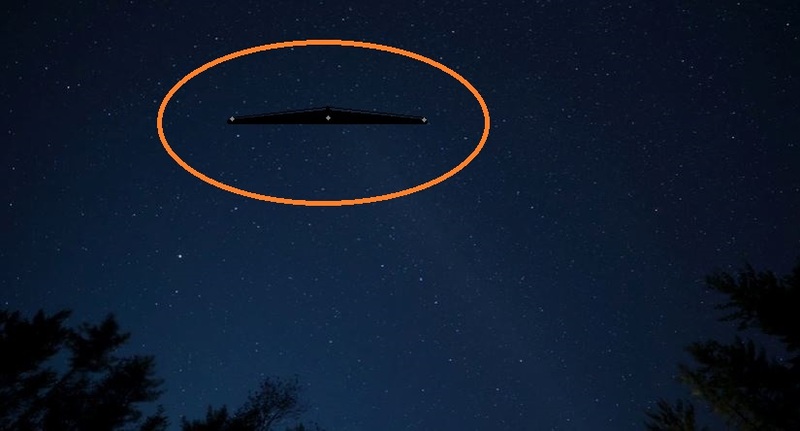 When observing the craft from the roadway it appeared to be V shaped because of the light pattern, but after what it was their was a small section on the perimeter of the craft that did not have the large led type lights which made it appear v shape from a distance. This craft at the farthest distance away was no more then 300 to 400 ft from the roadway. I also noticed that when the craft stopped over the field a red light had came on under the bottom of the craft. Then just west of the craft you could see 2 other craft approaching just over top of the trees towards the stationary craft, they did have numerous perimeter lights along with each having 1 red light on the underside. They appeared much smaller craft. I the at that time told my wife to take the next street on the right so that i could get some pictures. My wife instead of making the right, she continued down the roadway, just as if she never heard a word I said?….. almost like a trance. Just after telling her to make the turn, I myself forgot what I had seen until the next day. I called her from work to talk about it, but all she could remember was the big helicopter? The area consist of all rural with no inhabitant in the area. I am attaching a couple of pictures to show the area. I wish i could have taken a couple of pictures because they would have been the best documented pictures that have ever been supplied considering how close the craft was. NOTE: The above image is CGI. 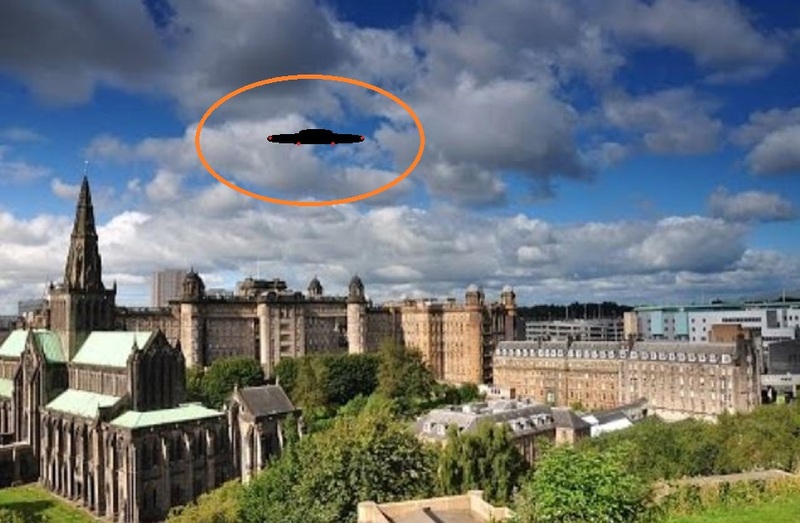 My wife, daughter and myself were having lunch out on our back deck around 2pm, early Sept 2013, when my daughter said ” dad whats that.” My wife and I turned and saw a disk shaped craft about the size of a school bus about 5000ft in the air. It was metallic in color and it was moving forward (west to east direction) but had a wobble effect. 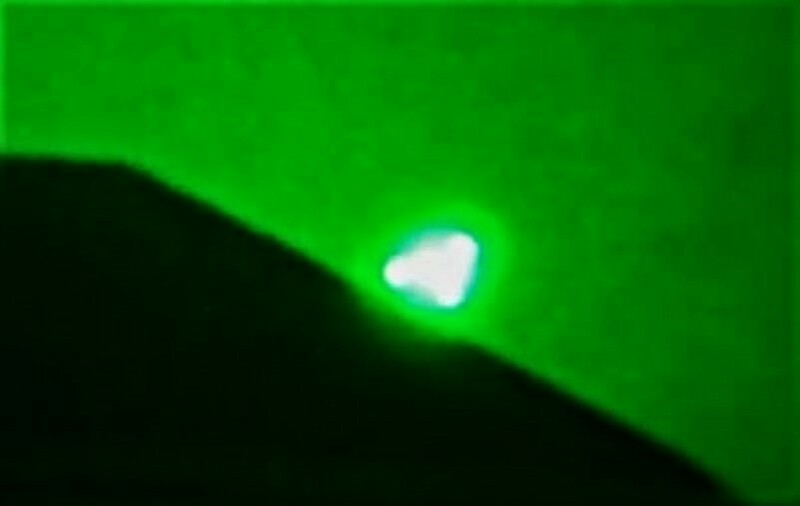 We observed it for about a minute, then it stopped, hovered for about 2 to 3 seconds then tilted slightly before ascending through the cloud which as it went through the cloud it punched a hole open in the cloud which we observed as well. After observing this craft I turned to my wife and daughter and asked both what they saw. They both were silent as if unsure on how to respond. 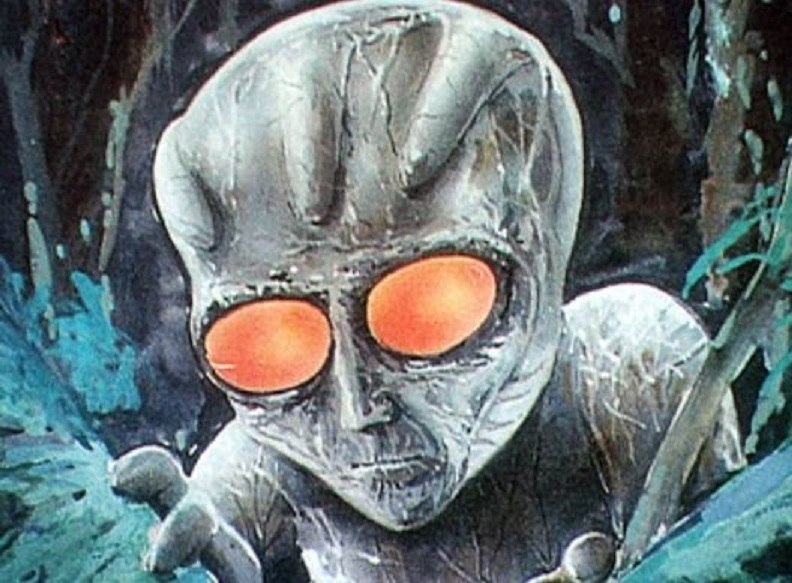 Then I asked both did you see a disk that was as big as a bus, no wings, stop in mid air, r tilt then ascend at bullet speed up through the clouds. 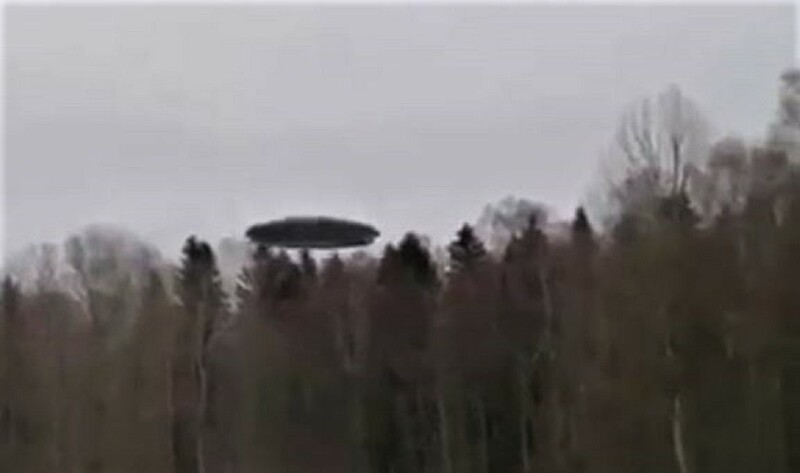 They both said almost at the same time was that a ufo. We all just stared at one another and finished our lunch. 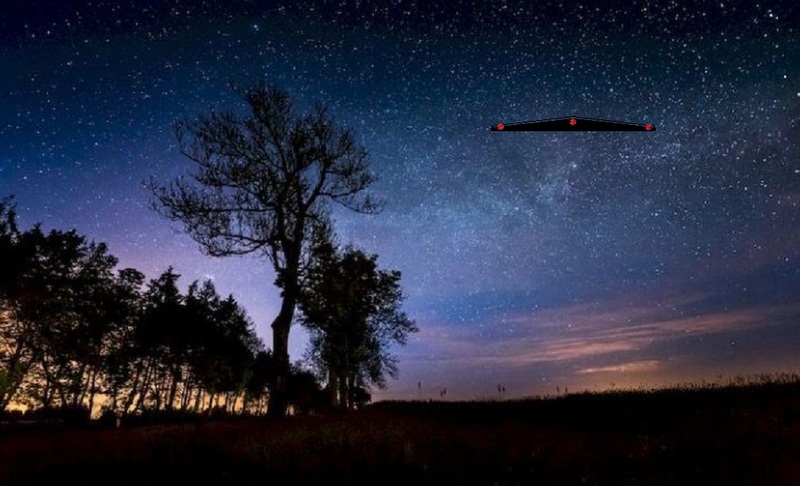 The next day reports of red orbs in the night sky where reported by many in Toronto. NOTE: The above image is CGI.